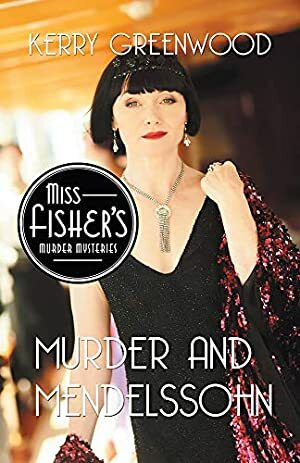 An orchestral conductor has been found dead and Detective Inspector Jack Robinson needs the delightfully incisive and sophisticated Miss Fisher's assistance to enter a world in which he is truly lost. Hugh Tregennis, not much liked by anyone, has been murdered in a most flamboyant mode by a killer with a point to prove. But how many killers is Phryne really stalking? At the same time, the dark curls, disdainful air and the lavender eyes of mathematician and code-breaker Rupert Sheffield are taking Melbourne by storm. They've certainly taken the heart of Phryne's old friend from the trenches of WWI, John Wilson. Phryne recognizes Sheffield as a man who attracts danger and is determined to protect John from harm. Even with the faithful Dot, Mr. and Mrs. Butler, and all in her household ready to pull their weight, Phryne's task is complex. While Mendelssohn's Elijah, memories of the Great War, and the science of deduction ring in her head, Phryne's past must also play its part as MI6 become involved in the tangled web of murders. The current price of this book is $1.31 last checked 3 months ago. We last verified the price of this book about 3 months ago. At that time, the price was $1.31. This price is subject to change. The price displayed on the Amazon.ca website at the time of purchase is the price you will pay for this book. Please confirm the price before making any purchases.